Yummy eggs, get into our tummy. Can we all just agree that eggs are awesome? Not only are they the tastiest source of protein, there are more than a dozen ways you can make them. Be it poached, scrambled, sunny side-up, omelette; it's the perfect staple on a breakfast plate. But there's one style of eggs that often gets overlooked: baked eggs. Also known as shirred eggs, the dish requires eggs to be baked in a flat-bottomed dish or a frying pan, and they are usually drowned in yummy homemade sauce. 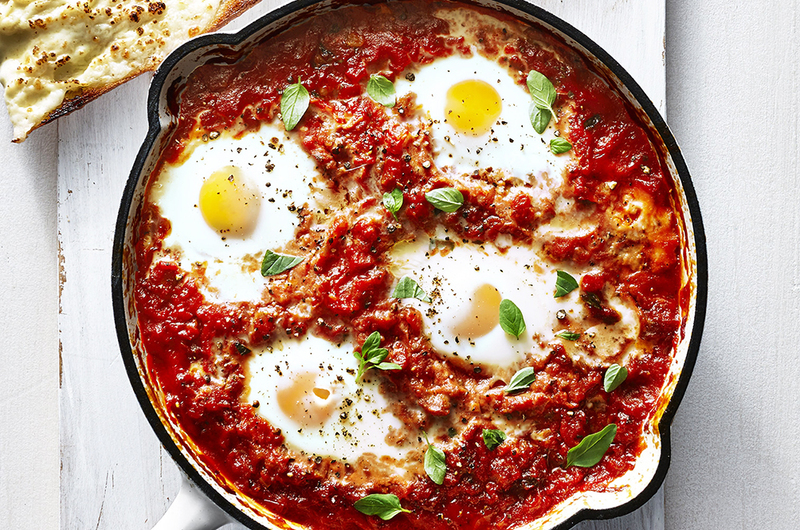 Although they are not as popular as the other more mainstream style of eggs out there, baked eggs are - dare we say - even yummier because of all the flavours you can find in the pan. Hungry for some baked eggs? 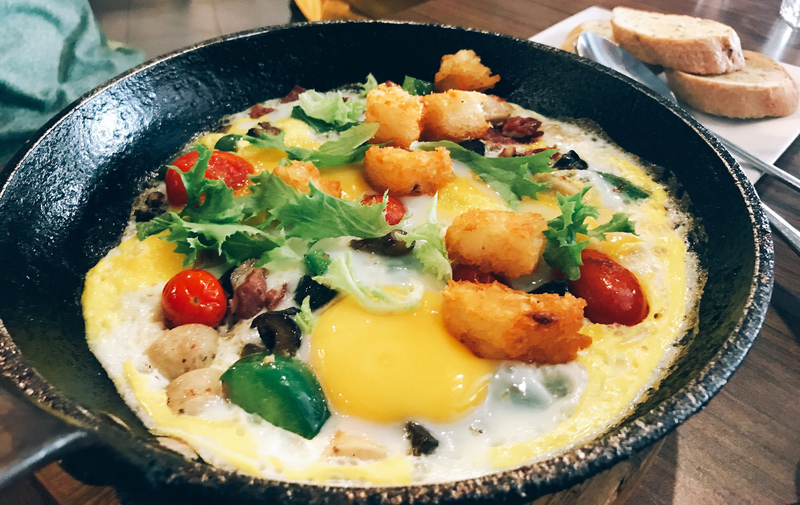 Here are five places in the Klang Valley where you can find the most unique baked eggs dishes. If you have a big appetite, Mr. & Ms Café’s The One Pan Fix is the one for you. You'll find chunks of chicken sausages, beef bacon bits, mushrooms, cherry tomatoes, capsicum, rocket leaves and baked eggs - all in one big frying pan! If this doesn't stuff your tummy, we don't know what will. 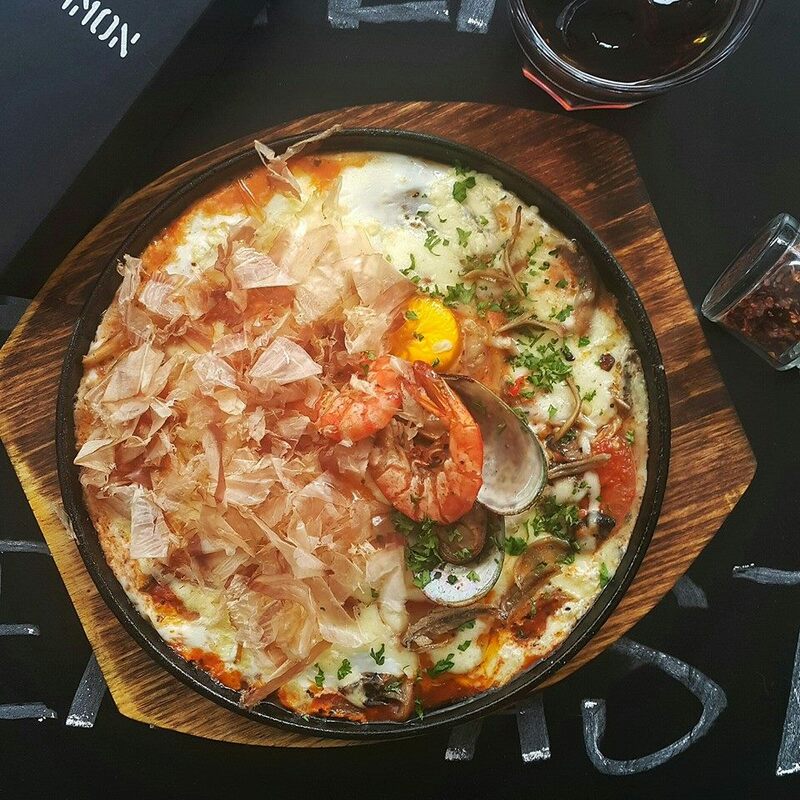 If you’re a fan of seafood, you should try The Dancing Bonnitos – a sizzling plate of baked eggs stuffed with tiger prawns, mussles, sautéed mushrooms and mozzarella cheese. The dish is sprinkled with bonito flakes, and the heat would cause the flakes to 'fly', hence the name Dancing Bonnitos. If you prefer your baked eggs without any meat in them, Copper’s Pira Charcoal Oven Mushroom is the one for you. 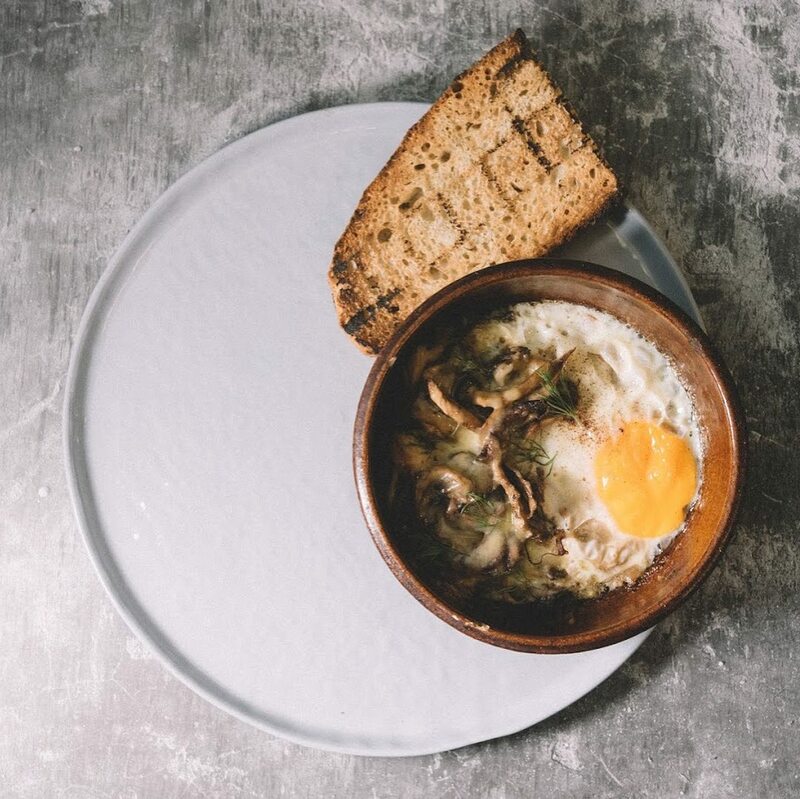 They serve their baked eggs with oven-roasted mushrooms, onion puree, cheese and dill. This is highly-recommended for those of you who crave for a meatless yet hearty breakfast! If you're on the lookout for something more exotic, you could check out VCR's Turkish Style Eggs. 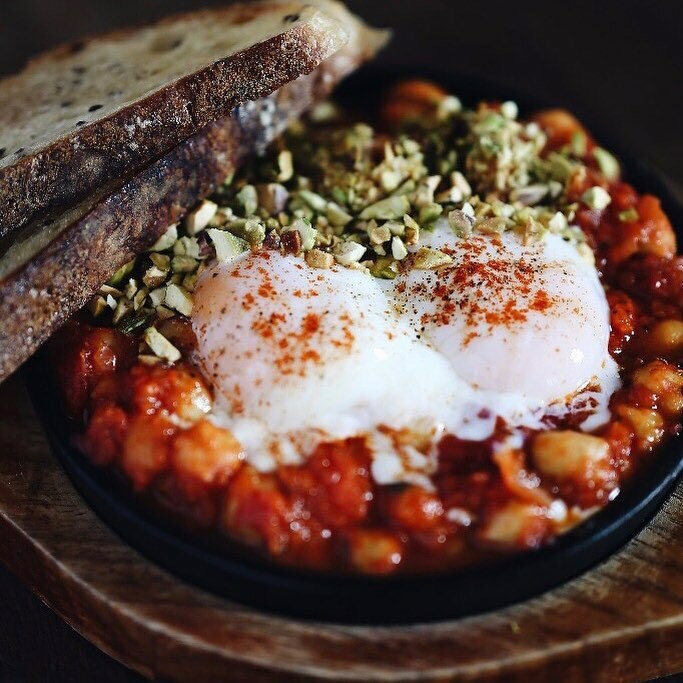 The eggs are drowned is rich Pomodoro sauce and Greek yogurt, and accompanied with Chipolata sausage and pistachio. Sounds absolutely yummy. 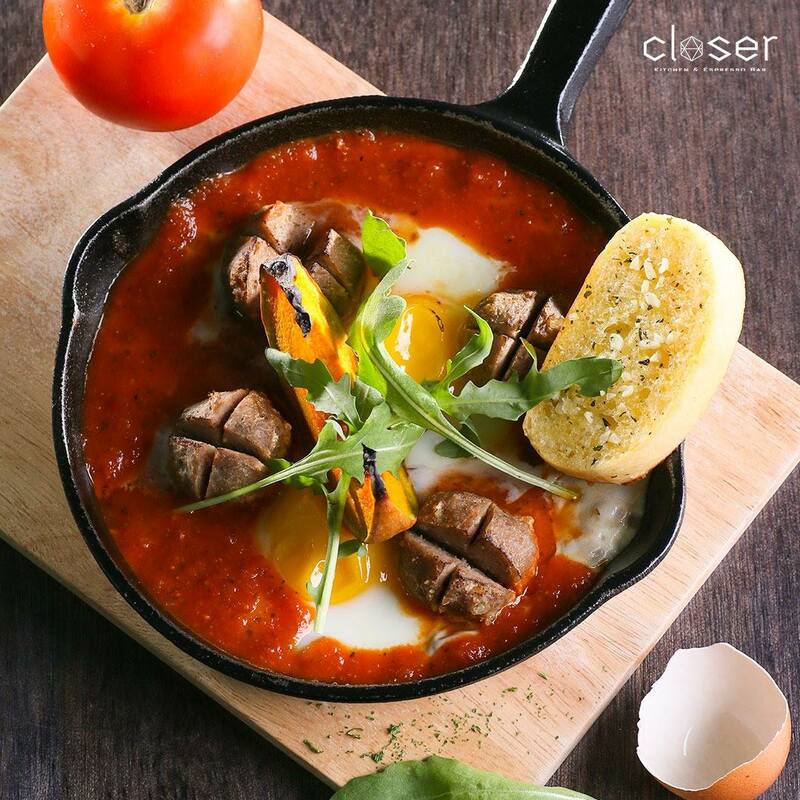 Closer Kitchen's Baked Eggs Sizzle dish will make you drool just by looking at it. Their home made provencale sauce is splashed over the baked eggs, and you'll also get a side of roasted pumpkin and a slice of garlic toast. You'll also get to choose to have meatballs to go along with your baked eggs.